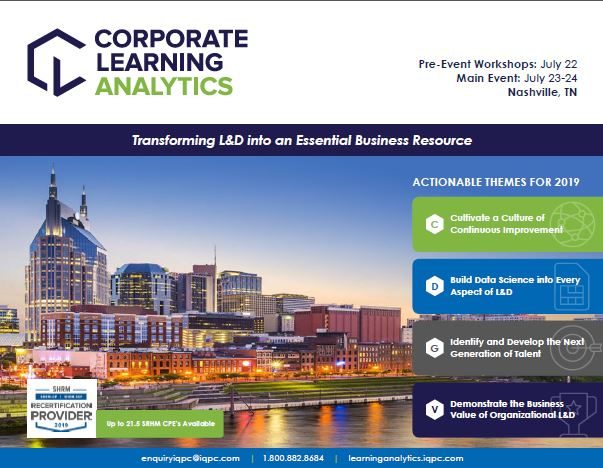 This year's Corporate Learning Analytics Summit is largely shaped by your main objectives for 2019 from cultivating a culture of continuous improvement to building data science into every aspect of L&D. Join us July 22-24 in Nashville, TN to better understand how analytics can be better embedded into learning & development. Simply fill out the form to view the official agenda or email enquiryiqpc@iqpc.com for a copy sent to your inbox!